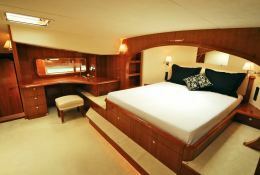 Lady Alliaura offers accommodations with 4 king size beds include a unique luxurious owner’s suite a wonderful view from the flybridge and an outside sheltered lounge salon. 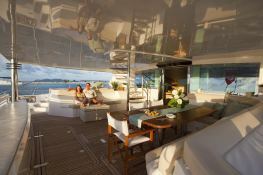 The luxury 745 catamaran Lady Alliaura, built in 2011 by Alliaura Marine, is a superbly comfortable 22.9M yacht catamaran which welcomes up to 8 guests on board with a crew of 4. 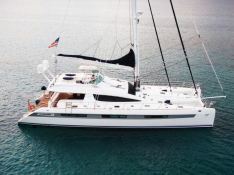 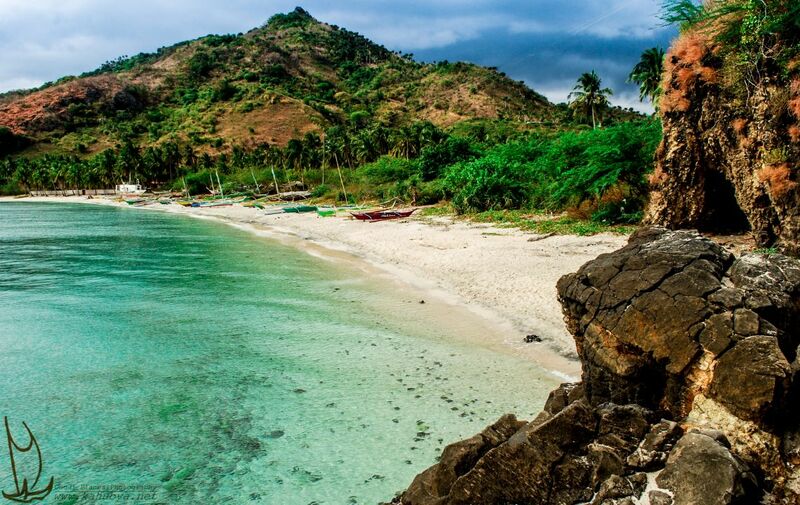 She is available all year round for charters in Caribbean and is equipped with air conditioning, generator, watermaker and also fishing equipment, kayak, wakeboard, waterski, CD and DVD for a wonderful luxury catamaran experience. 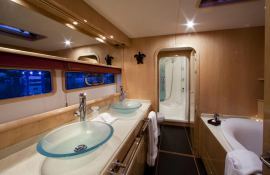 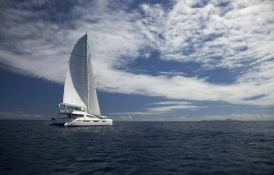 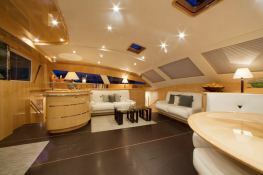 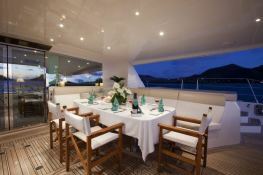 Lady Alliaura is available for yacht charter with a base price of 47 000 $ (approximatly 41 676 €).